Fresh of his release of his first LP “Universus”, ShockOne delivers again with his killer remix of “Sunrise” by Ashton Shuffle and Tommy Trash. He stays true to the songs dance floor vibes while infusing his unique dubstep style and effects to take it to a whole other level. 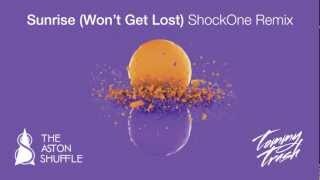 ShockOne is currently on an Australian tour for his new album so the rest of the world will have to wait patiently for him to come to their country and blow some minds.